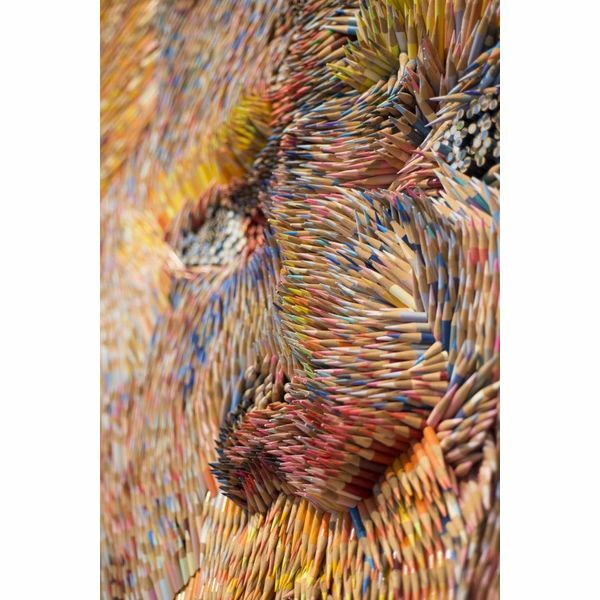 'Vincent' by Georges Monfils is made from no fewer than 13,000 pencils. 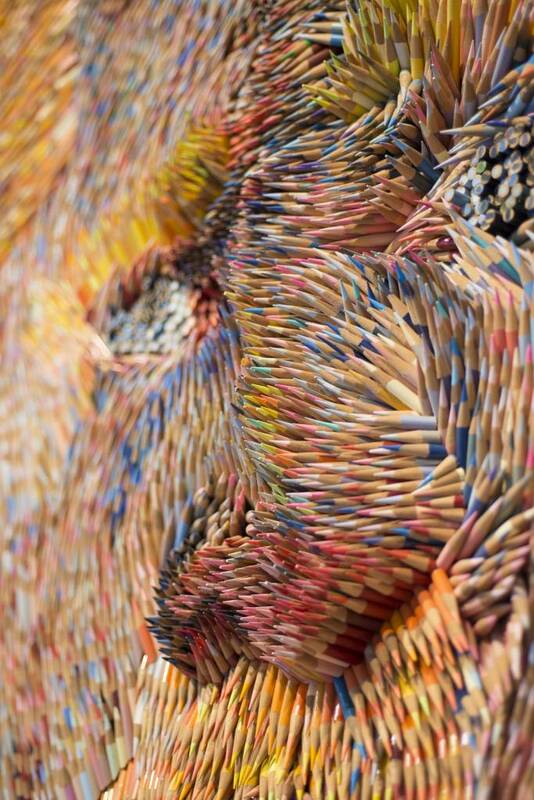 The inclination of the way in which the pencils are set give the suggestion of Van Gogh's expressive brush stroke. The colors are a loving ode to Vincent van Gogh's unique color palette. Art is the freedom to fall in love to feel aversion. 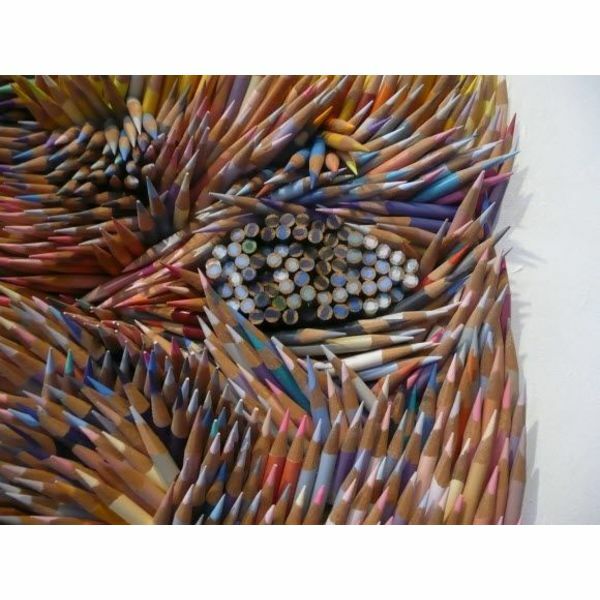 everything may be the viewer and artist free in their personal expression. 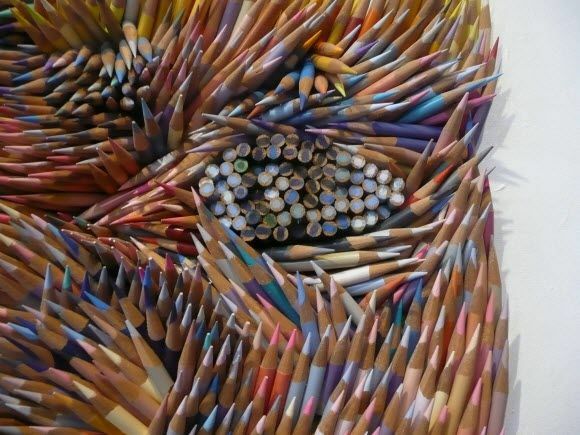 The pencil has become the symbol of freedom, in combination with Van Gogh a charge against aggression and freedom of expression.